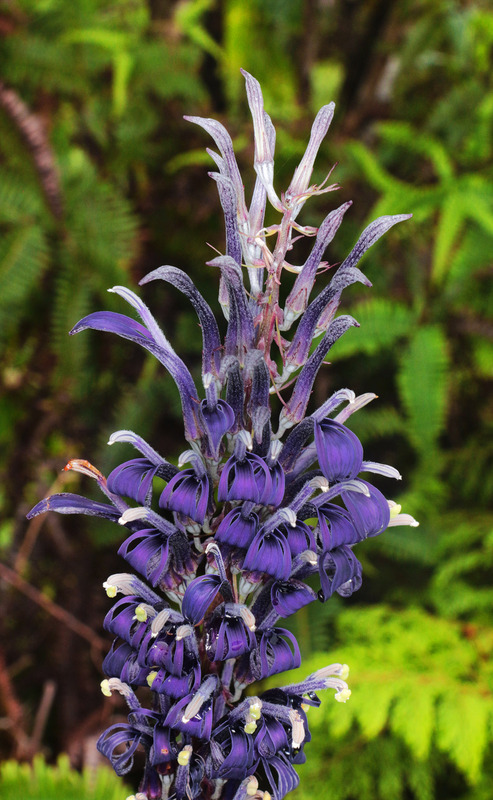 One of the eye-catching sights in the Hawaiian flora are the flowers of ʻŌpelu — Lobelia hypoleuca. The plant blooms just once in its lifetime. 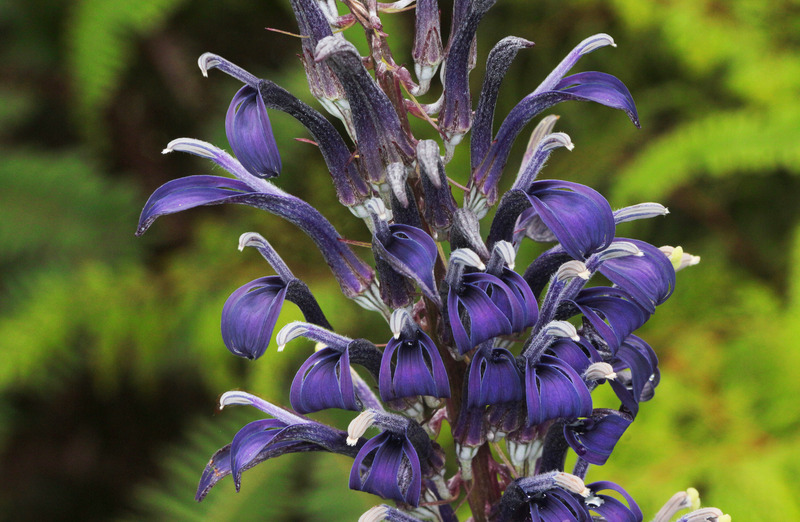 It grows for years as a rosette of long slender leaves until an inflorescence — flower stalk — sprouts, grows, and blooms into a spray of spectacular purple-blue flowers. After the flowers are pollenated and the seeds mature, the plant completes it’s life cycle and dies. Lobelia hypoleuca is endemic to the Hawaiian Islands and is found on 6 of the 8 main islands — Kauaʻi, Oʻahu, Molokai, Maui, Lanaʻi, and Hawaiʻi. The plant was first described in 1888 by Dr. William Hillebrand – an accomplished medical doctor at Queen’s Hospital and personal physician to King Kamehameha V. Hillebrand was also an accomplished amateur botanist. L. hypoleuca is included in Hillebrand’s monumental work “Flora of the Hawaiian Islands”, in which a host of new Hawaiian plants were introduced to Western science for the first time. 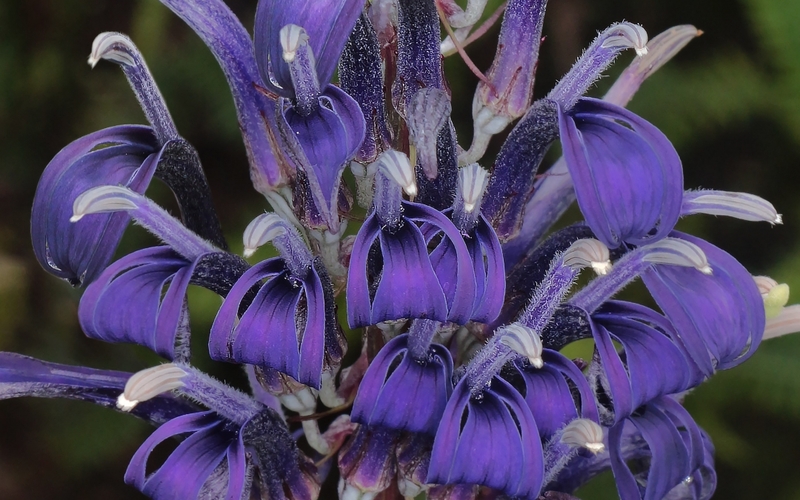 The plant belongs to the Hawaiian Lobeliad Group which evolved the most plant species from a single colonization in an oceanic archipelago. There are over 260 species in the group all endemic to the Hawaiian Islands. The Hawaiian names for most were not recorded by Western botanists before the Hawaiian people who knew the names died. 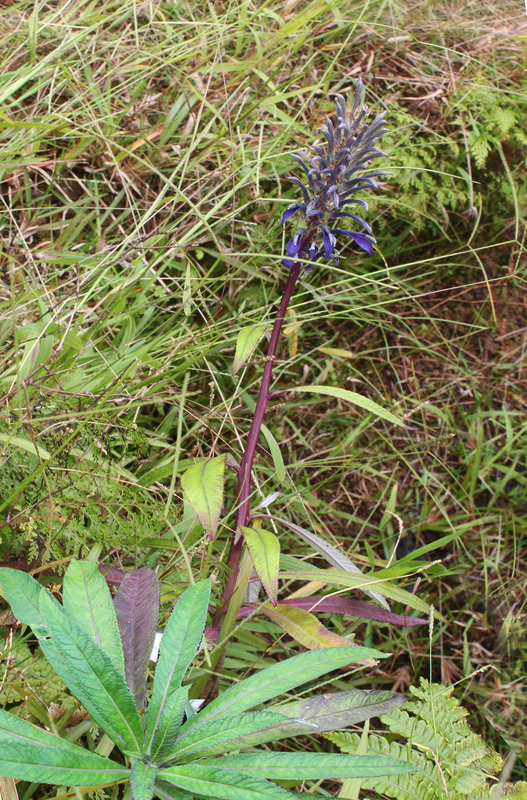 So most plants in the Hawaiian Lobeliad Group go by the generic name ʻoha or ʻoha wai. Lobelia hypoleuca is exceptional in that multiple Hawaiian names are known for the plant – ʻŌpelu, Kuhiʻaikamoʻowahie, Liua, and Moʻowahie. ʻŌpelu is the more common name and refers to schools of the fish ‘öpelu — Mackerel scad – the plant is said to resemble. 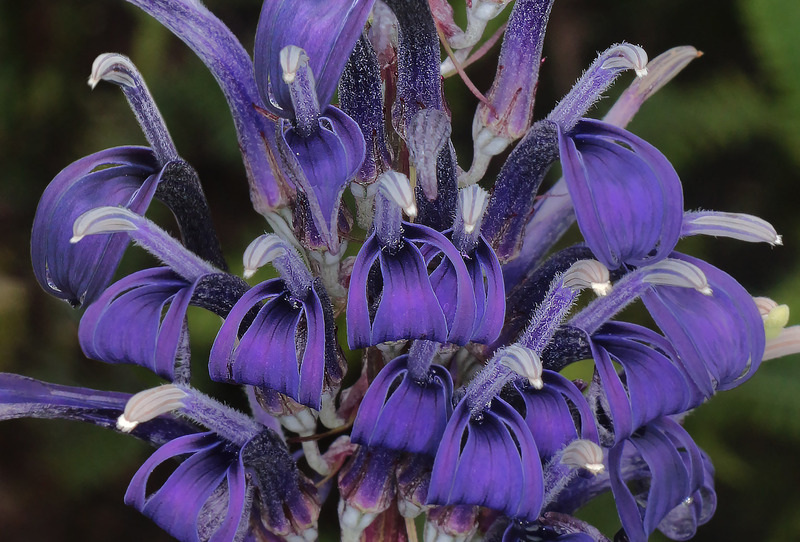 The flowers of L. hypoleuca range from blue to purple. The flower appears to have a single large petal beneath the staminal column. In other lobelia species the petal splits into 3 parts – a large one in the middle and two much smaller ones on either side. If you examine the flowers up close you can see holes/tears in the petal where it would split into 3 parts. But the tear does not go all the way through so the petal remains a single piece. How odd is THAT! Lobelia hypoleuca is not on the federal list of endangered species nor is it on the IUCN Red list. While many other plants in the Hawaiian Lobeliad Group are much rarer and are listed, L. hypoleuca is by no means common. My experience looking for them in the mountains is that they are few and far between. Like many other Hawaiian plants, pigs, goats, rats, slugs, and invasive alien plants are major threats. Great work, Nate! I always enjoy your work.